Cafe de Playa, located on Playas del Coco of the gorgeous Pacific Ocean. Also, a short 45- 60 minute drive away from the Liberia airport. This leaves the whole area of Guanacaste open to explore and perfect for a small day trip in the region. Truly a place of luxury relaxation and getting away from life’s troubles. Enjoy the onsite restaurant and wine cellar. Cafe de Playa is a beautiful beachfront boutique. 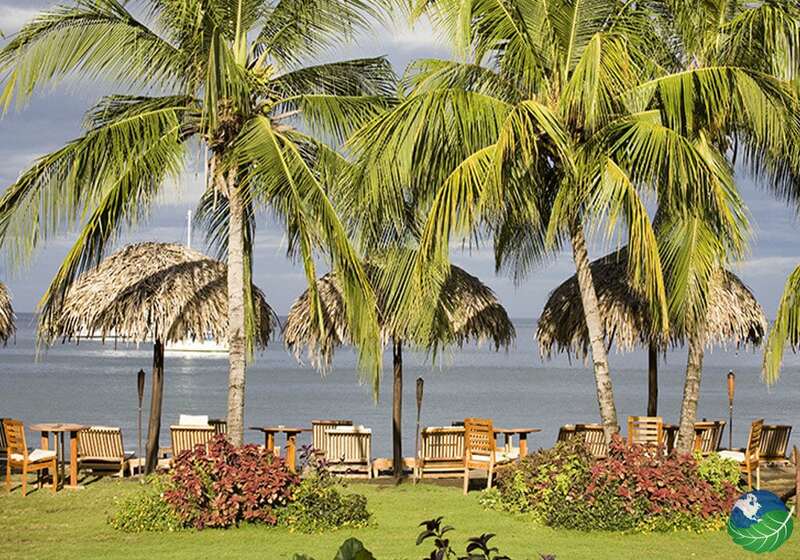 Including sailing, fishing, snorkeling, diving, kayaking and more. So many, tour companies around to take you for a great fun filled the day out in the water. Also, If you’re looking just to relax the Cafe de Playa is the perfect place to enjoy yourself. 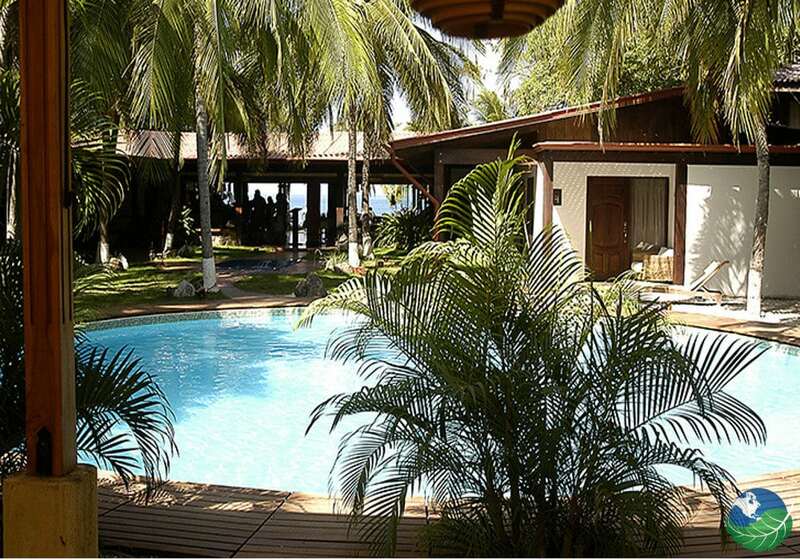 The beach front property has a gorgeous garden and private beach area. Or enjoy some music from there on staff DJ at the chill-out lounge with a light show. Also, close by are National parks to go zip lining, horseback riding, and hiking, etc. You definitely will not get bored during your Costa Rica vacation! Playas del Coco is a great beginner spot for surfing. With steady waves and great weather all year round. If you are looking for some bigger surf, not far away are many other beaches. For example, Playa Panama, Playa Ocotal, and Bahia Hermosa. 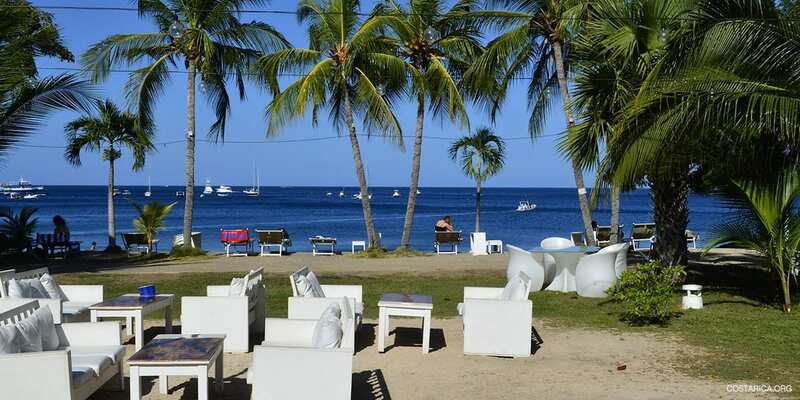 The surrounding area of Cafe de Playa experiences gorgeous scenery all over the place. The dry rainforests of Guanacaste give you many opportunities for walking, biking, and Birding. 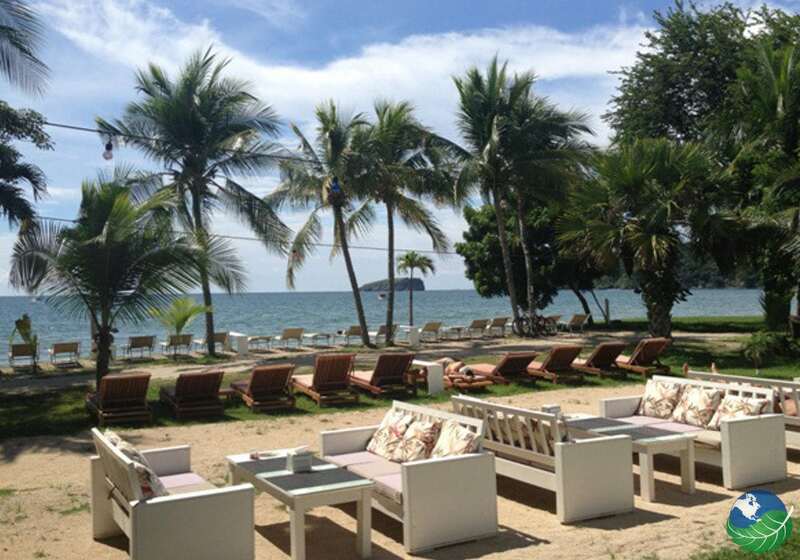 Café de Playa Beach and Dining Club is astonishing with the ocean view. Almost like you never left home. Sit back in your suite as you hear the waves rolling in and your worries washing away or enjoy a refreshing drink from your stocked mini bar in your room. After your unbelievable days at the beach, you will relish in the amenities of each room. Choose from the Deluxe Junior Suite or Deluxe Family Suite. The suite has a flat-screen TV with cable and satellite. Also, the suite includes a furnished outdoor area, fridge, and coffee maker. Offering to a shower, and bathroom with hairdryer, toiletries, and bathrobes. The restaurant at Café de Playa is for those looking to taste luxury. 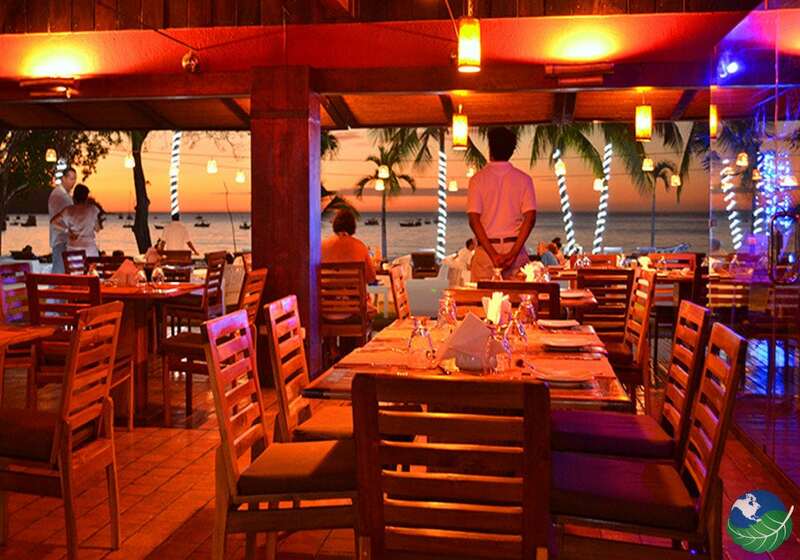 Enjoy the fine dining atmosphere of beachfront bliss. There is delicious cuisine provided from local fruits and vegetable are grown not far away from the resort. Every night offers a new taste to your pallet and is sure to impress you. If you have ever dreamed about a beautiful destination wedding, the Cafe de Playa offers the perfect location for your special day! All planning services are provided and are detailed to be the finest event of your life. Right from the bachelor/bachelorette party to the point of saying I do the wedding planner will be there to assist you. And the beach gives a great view for you and your guests no matter the size. All in all, this is what you are looking for. 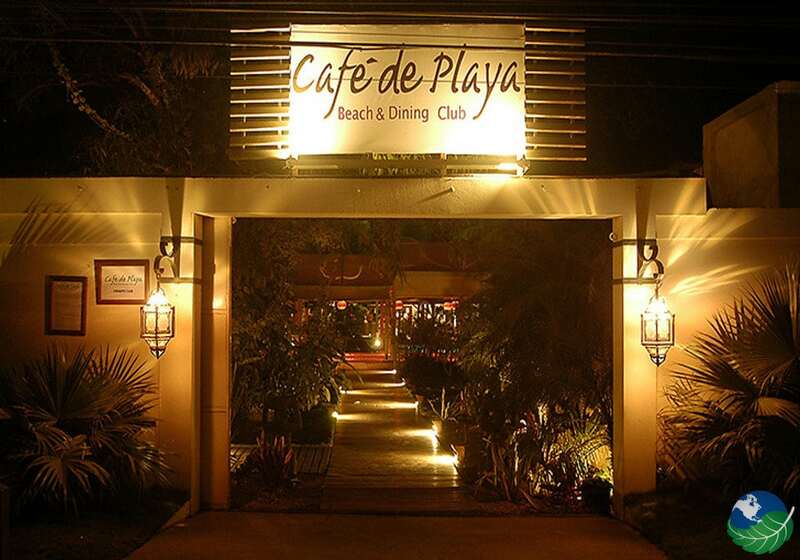 Café de Playa will make sure to give a great experience. And leave you walking into the sunset after a beautiful vacation.